The atomic number corresponds to the number of protons in the nucleus of an atom of that element. It also corresponds to the number of electrons in the neutral atom. 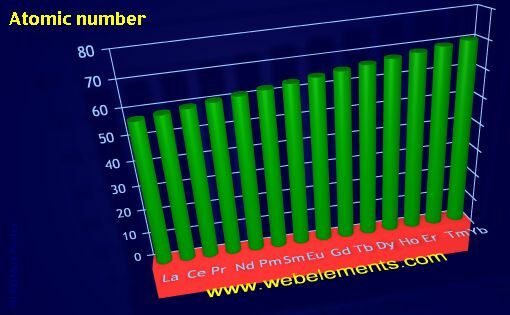 Image showing periodicity of atomic number for the 6f chemical elements.